Whether you have an extra Great Adventure souvenir that you want to get rid of or you need a certain park map to complete your collection, you've come to the right place! GreatAdventureHistory.com welcomes you to The Trading Post! 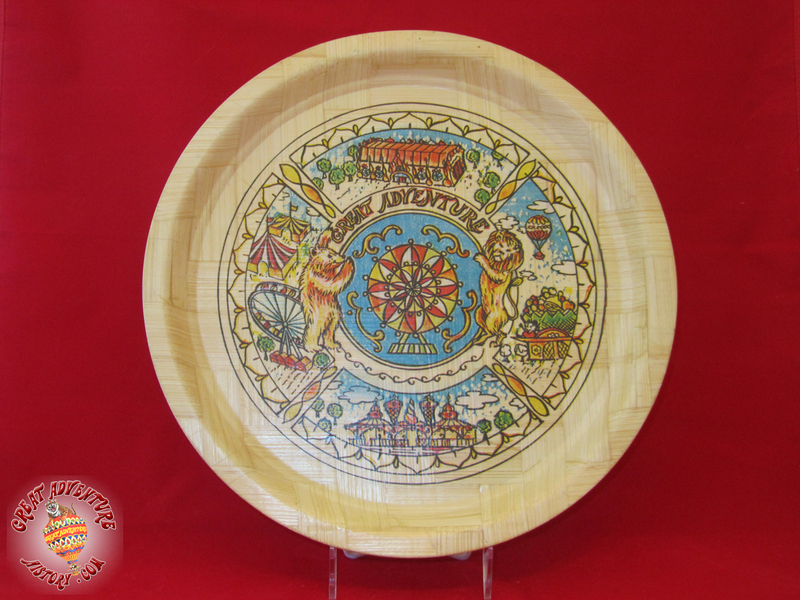 This is the spot for you to share your "Wanted" and Available" listings of Great Adventure related items. It is quite possible that someone here may just have the item you are looking for! 1. The Trading Post is open to registered members of GreatAdventureHistory.com forums only. 2. We have the best members on the web but still, members trade at their own risk. GreatAdventureHistory.com is not responsible for any proposed or completed trades. 3. Post your item as either "WANTED: ....." or "AVAILABLE:....". 4. Both WANTED and AVAILABLE folders have been set up in the Great Adventure Trading Post Gallery for sharing pictures of your items. 4. Include a detailed description as possible including the general condition of the item. 5. It is the responsibility of the traders to make all the necessary arrangements for exchanging items. 6. Feel free to leave feedback on the trade in the comments of your Wanted/Available thread. This is a sweet section of the site.....what am I looking for.....so many great things I can't decide! I have to start "poseing" all my stuff, for pics. Glad you guy's got this up and running. It's kind of a more exclusive E-Bay, but without the bidding. Exactly! Why have some idiot drive up the price of something, when we have fans here who would really appreciate getting it in trade or for a lower price? I am gonna have to look through the things that I do have thusfar and see what I can put up or what I might like to look for. This is an excellent idea guys as I can only imagine what everyone on here has to offer to any of the members. I can't wait till we all get our stuff up! Tip of the moment: Buy everything with the name Medusa on it, I know I will. Main Street Market has the most Medusa Merchandise (as of last weekend) and some stuff is scatterd throughout the Park in other shop's as well. The Snowglobe is still my favorite Medusa item. I am hoping the discount increases for the final weekend. I didn't really like either Medusa shirt but for 75% off or more, I might be convinced to get one for collectible reasons. I already got the Orangish-Tannish-Brownish Medusa logo/stat tee. It was $7, so why not, right? I forgot to mention to you all that Harry and I traded the Take It E.Z. Creek Tube, for the Opening Weekend Letter at the park a few weeks ago, and I am very pleased with it's condition, and just the collectability of it. Harry took great care of it for the time he had it. When I frame it I'll post a pic. of it. 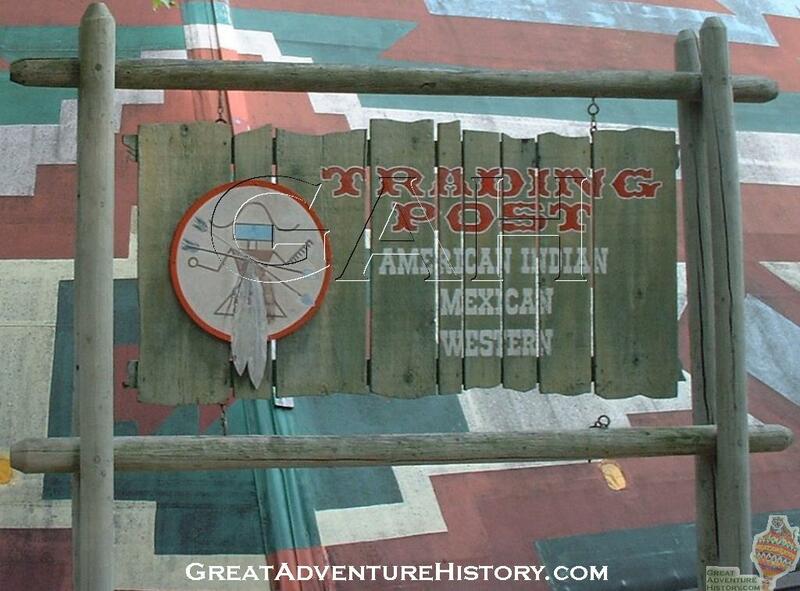 The first trade of the Trading Post was a great success. I was wondering if there was any Medusa Merchandise that was Discontinued, or if there was any Merchandise from it's Debut Year that is no longer available. If there is, it would definetly fall into my "Wanted" catagory. 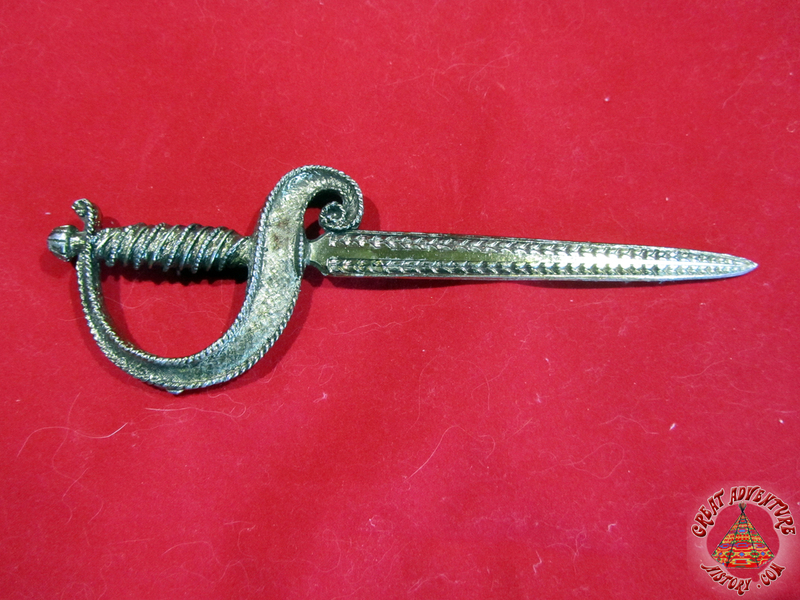 A bunch of new stuff has been added to the Trading Post with much more on the way real soon! I know during Fright Fest 2009 they park was selling old Medusa shirts for $5. I got one at the Main Street Market. Not sure if they were selling them anywhere else in the park though. 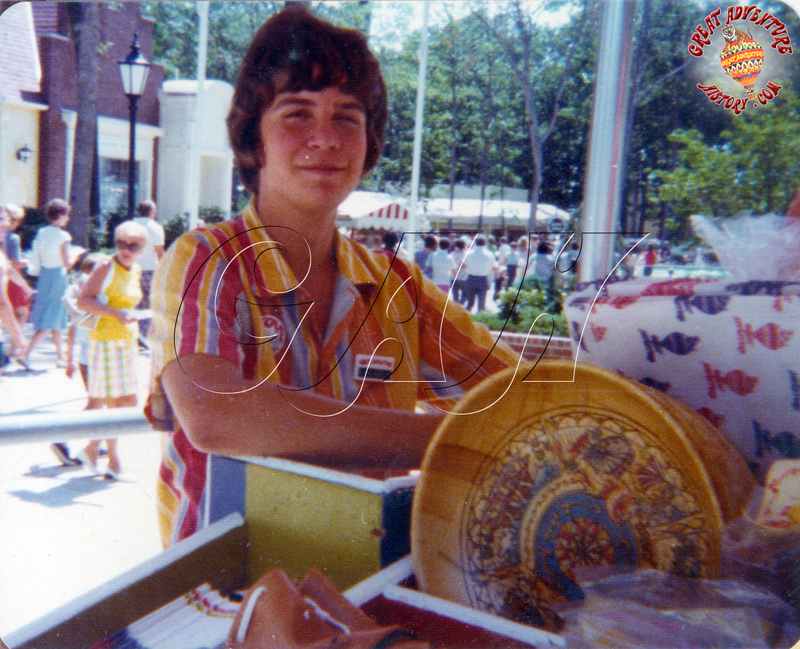 I recognize a lot of familiar items on this original souvenir cart, but oh what I wouldn't give to go shopping there! I would kill for one of those Great Adventure punching bags! 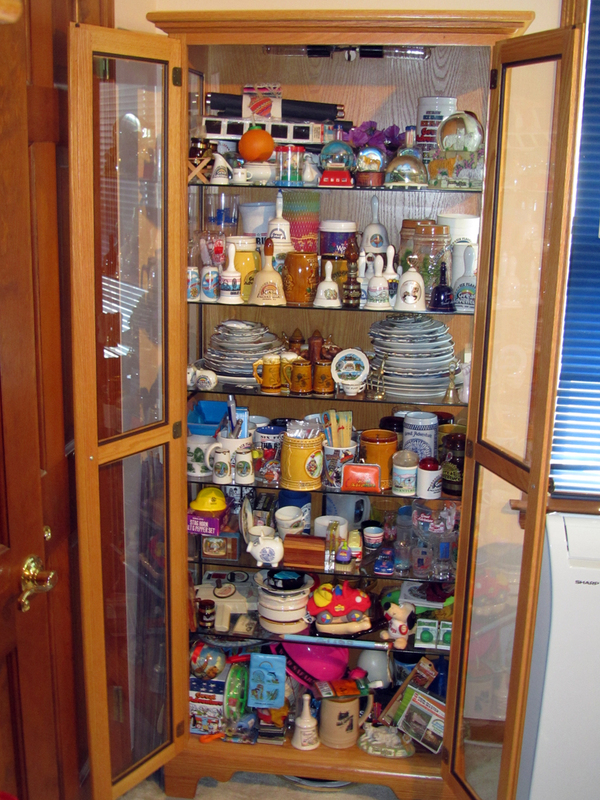 I love pictures like the one below that shows vintage merchandise. 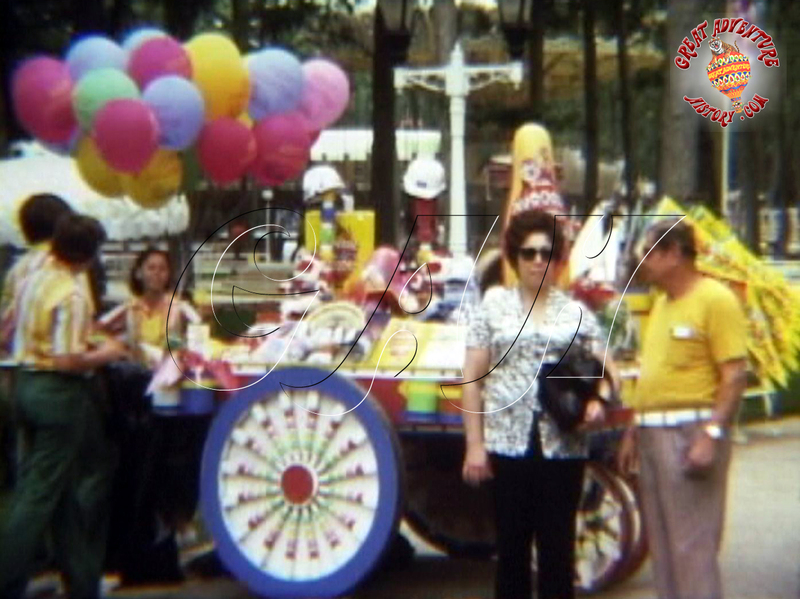 By the looks of the maps in the guy's cart, the photo was taken in 1976. I have that wooden (actually plastic) tray! Not only would I love to have what is in this guys bag, I would also love to have the hot air balloon shopping bag itself! I am running out of space in my Great Adventure case! 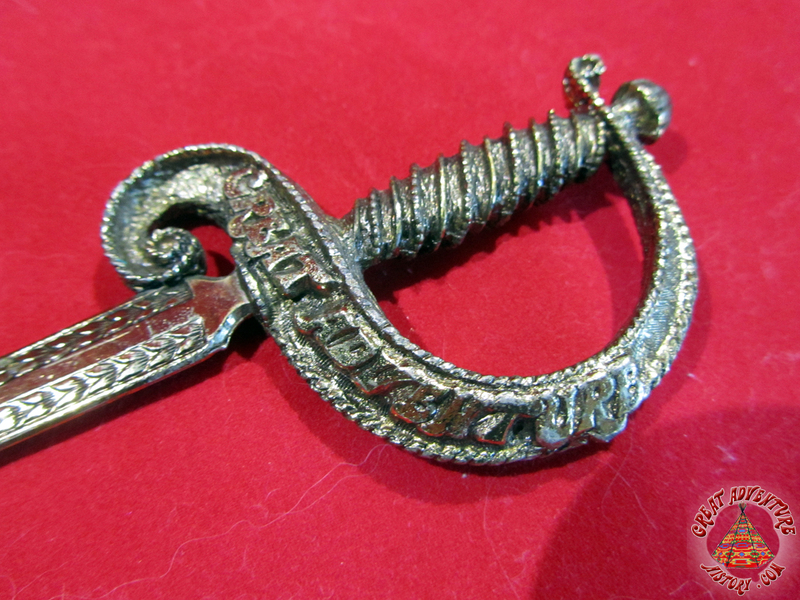 I've had a couple of requests to show close-ups of an item in my collection. 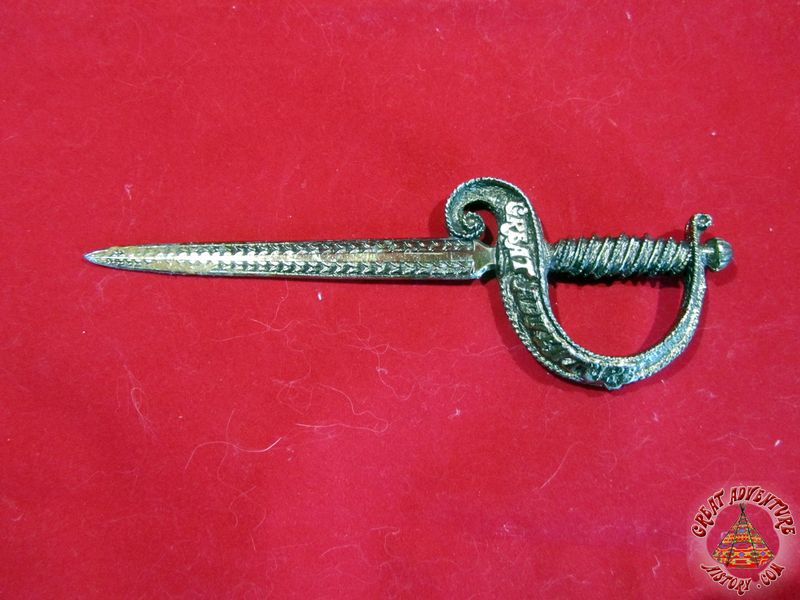 Here are the photos of a solid brass letter opener sword. It's six inches and quite heavy. I ran across an old box in my basement of small miscellaneous trinkets and doodads that probably hadn't seen the light of day for about 30 years. 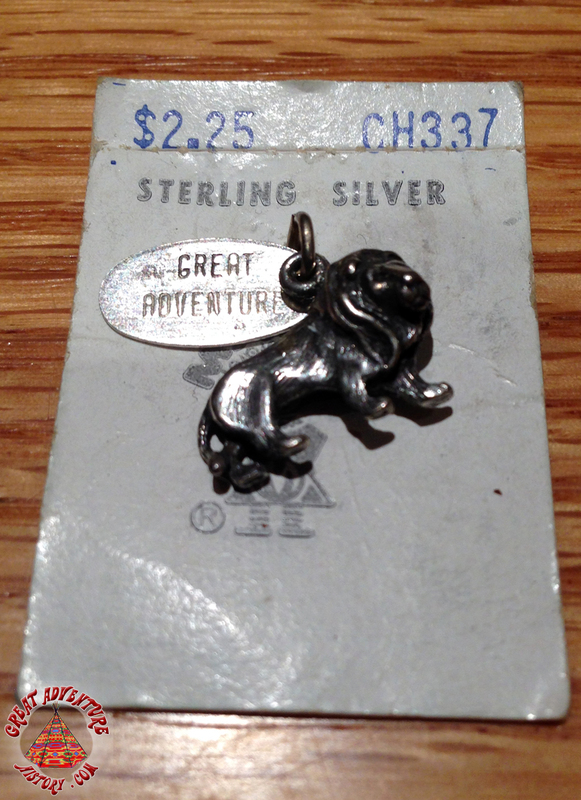 To my great surprise, I found this Great Adventure charm featuring a lion amongst the contents. 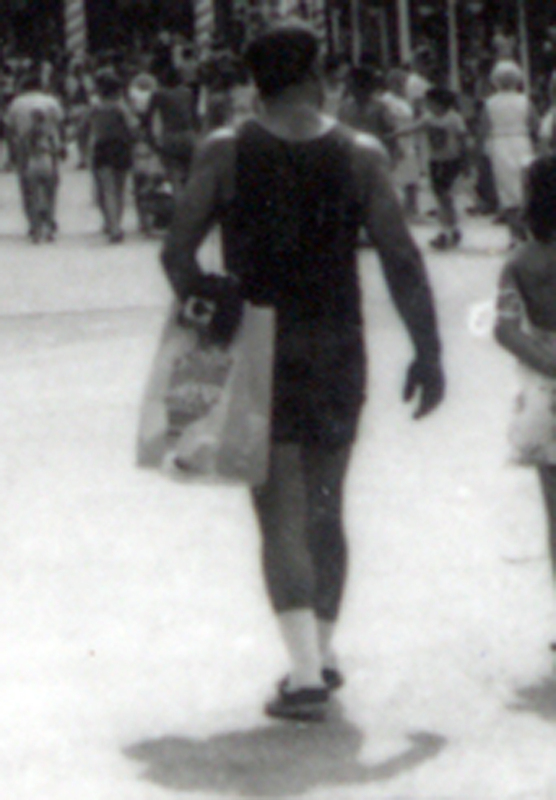 I know I never bought this item myself at the park or on ebay, so I am 99% positive that it was purchased on my family's first trip to the park in 1974 since the rest of the items in the box dated back to that time. You can imagine how shocked I was when I looked closely at the charm and saw it said "Great Adventure"!